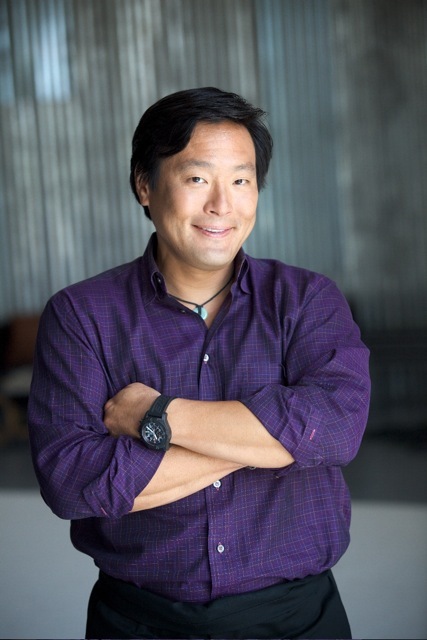 I'm sure most of you would have seen Emmy-award winning Chef Ming Tsai on TV at some point in time, or even Youtube. Fans will be glad to know he's in town to film episodes of "Simply Ming" and will be signing books at Page One, Vivocity next Tuesday! 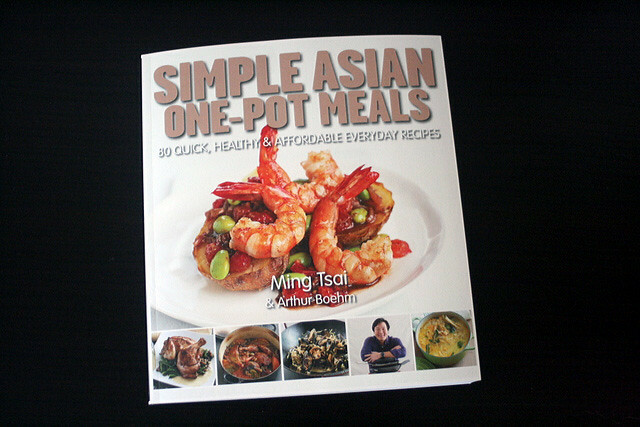 His latest book is "Simple Asian One-Pot Meals" which features 80 splendidly photographed recipes, organised into seven categories: braise, wok, sauté, roast, high temp, soup, and toss. I read it from cover to cover, and it's really more Western than Asian, but a nice fusion of both. There are recipes like an "Asian Ratatouille with Wholemeal Couscous" in which he adds fermented black beans; "Mirin Clams and Leeks"; an "Orange Yuzu Glazed Chicken with Wild Rice Salad"; and his mom's famous vinegared prawns. What's nice is he gives wine/beverage pairings with the dishes like a Dolcetto d'Alba from Italy to go with Wild Mushroom Polenta with Thai Basil Salad. The book is also peppered with cooking tips from Ming. The book itself is gorgeous and it's a Page One book, so you know it's a quality production. Even the ink smells luxurious! I have three of these books to give away to readers. Simply leave a comment here, or better yet, on Facebook (double your chance there), and tell me in just one sentence what you like best about Ming and his shows (or maybe what you'd like to ask him). I will choose winners randomly, so your answers can be as honest or simple as you like. Closing date is Monday, 19th Sept 2011, noon - I'm hoping you guys can collect it at Ming's signing on Tuesday at Vivocity! Contest is open to Singapore residents only. I will announce the winners on Facebook. Please be on standby to give me your contact details. Photo of Ming and last photo courtesy of Page One. Would love to win this cookbook so that I can have him in my kitchen. He was the first few that got me interested in cooking. Thank him on my behalf if you see him. Thanks. 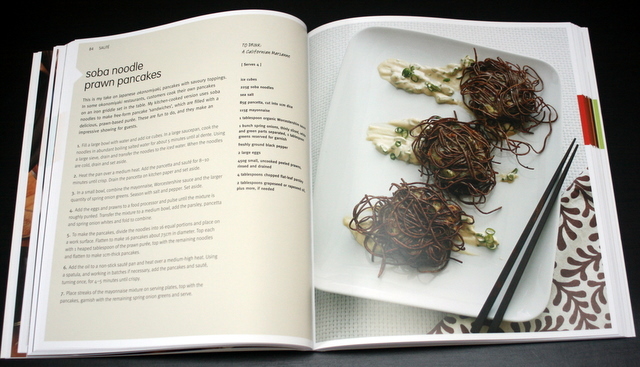 I like I like I like like like.. his simple and easy cookbook. Love his cooking style! amazingly good yet amazingly simple. I love Ming Tsai and his recipes, he is just great! I love his book as well! What is your favourite recipe from it?